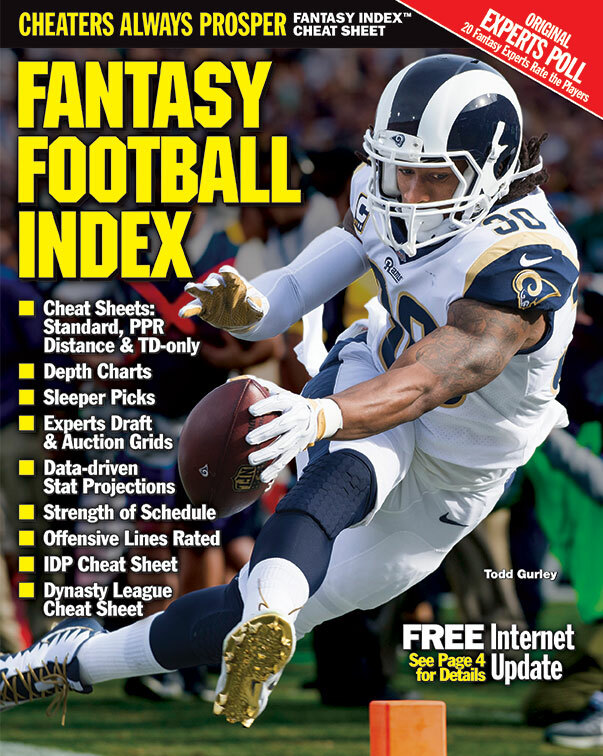 To use subscriber area on the Fantasy Index website, your browser must accept cookies. Cookies are small text files stored on your computer's hard disk. Our server uses the cookie to remember your user ID and password, so you don't have to continually re-enter them as you jump from web page to web page. When you log in to the subscriber area of Fantasy Index Web site, our server checks to see whether you have a cookie on your computer’s hard disk from a previous visit. If you do, then our server retrieves the cookie and reads it. If you don’t, our server will attempt to place a cookie on your computer’s hard disk. Cookies won't scan your computer for passwords, credit card numbers, or other personal information. They can't snoop around to see what software is on your computer (that's Bill Gates' quest, not ours. Hey, we're Macintosh guys.). Cookies can't run programs or send computer viruses. They can't be read by other websites.